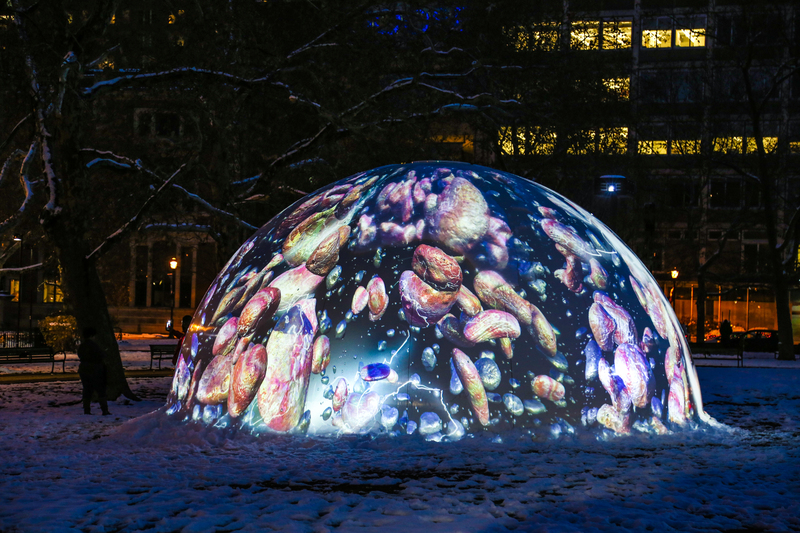 Um, YES: Giant, Magical Domes Have Just Been Installed on The Parkway! 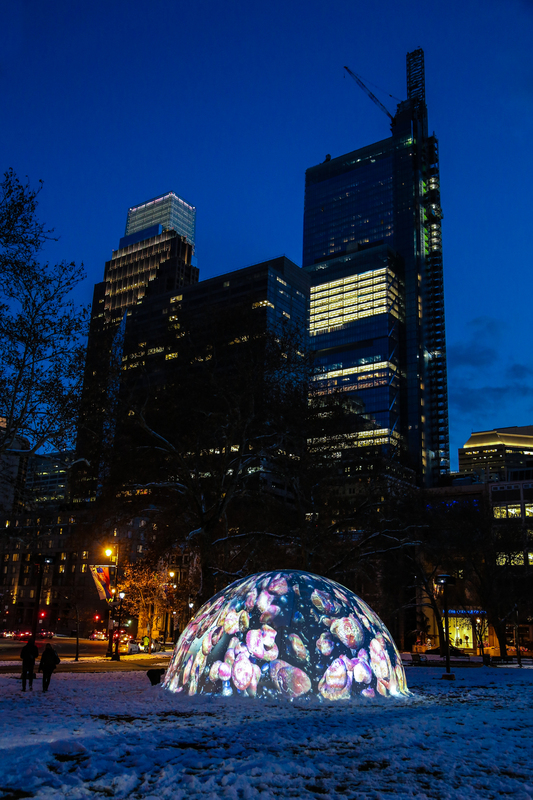 This month, four dream-like domes appeared along Philadelphia’s Benjamin Franklin Parkway, and after the year this country has been having I am absolutely loving this little escapism right now! 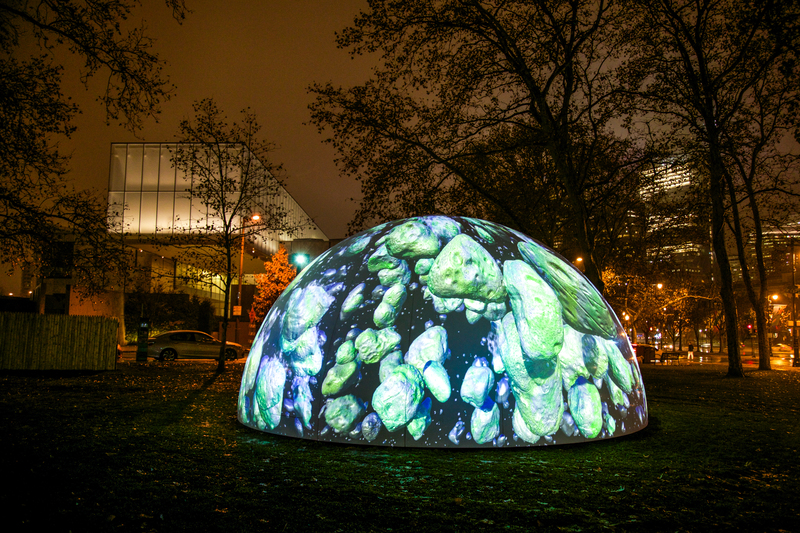 The fiberglass domes located at Aviator Park, the Rodin Museum, Park Towne Place, and the Spring Garden Triangle display animated video projections by world-renowned video and new media artist and professor in UCLA’s Department of Design Media Arts, Jennifer Steinkamp. 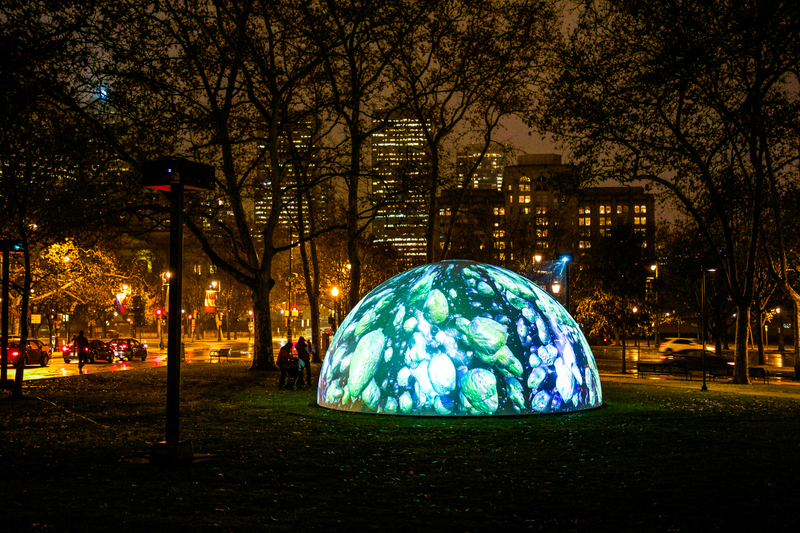 The animations, as the project’s website says, inspired by Benjamin Franklin’s electrical research. 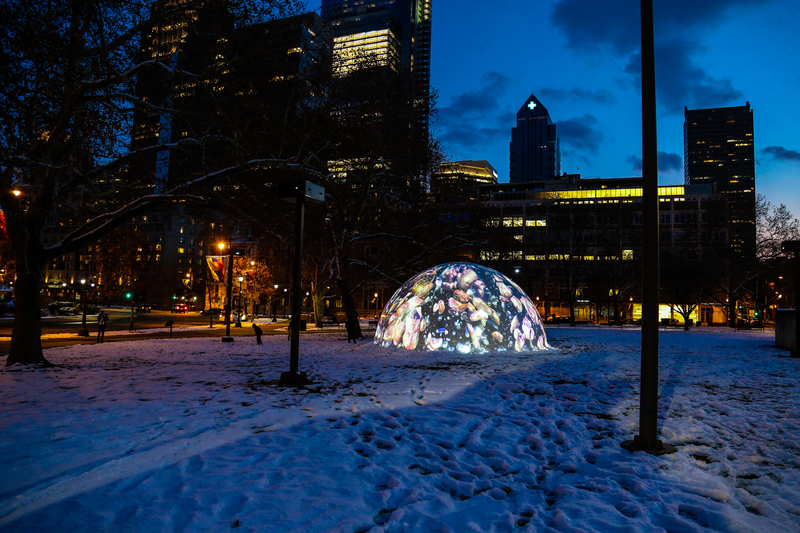 Titled Winter Fountains, the project was commissioned by the Association for Public Art and is on view from sunset to midnight now through March 18, 2018. Learn more about the project and how it came to be here!